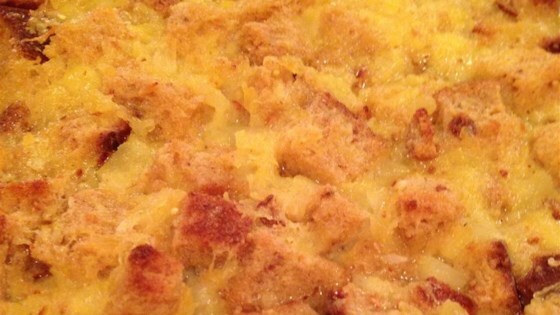 "A bread and pineapple casserole that goes great with a ham dinner." In a mixing bowl, cream together butter and sugar. Beat in eggs one at a time. Stir in cinnamon and nutmeg. Add bread and crushed pineapple into the mixture. Transfer mixture to the prepared baking dish.